Home » Everyday , Health » These Are The Best And The Worst Sleeping Positions. Which One Do You Use? These Are The Best And The Worst Sleeping Positions. Which One Do You Use? Interestingly, we spend one third of our lives sleeping. Quality sleep is essential for good overall health, both mental and physical. On the other hand, sleep deprivation has increasingly been linked to serious health problems including obesity, diabetes, heart disease, dementia and more. Now, your sleep quality largely depends on how comfortable you feel during sleep, i.e. the sleeping positions you take. Some sleeping positions have been linked to heartburn, snoring and even premature aging. If you want to make most of your day, you must have a good night’s sleep. Here we recommend the best sleeping positions that guarantee you’ll wake up refreshed and full of energy. Even though many people enjoy this sleeping position, according to experts, it’s one of the worst ones because it usually leads to stomach discomfort or pain in the morning. But, this position is not all too bad. In fact, it’s quite beneficial for people suffering from sleep apnea and snoring. Otherwise, if you sleep on your stomach, you’ll probably wake up with lower back pain because the natural curve of your spine will be flattened. You may also experience neck pain because your head is only positioned to one side during sleep. Using a pillow with this sleeping position is highly recommended. 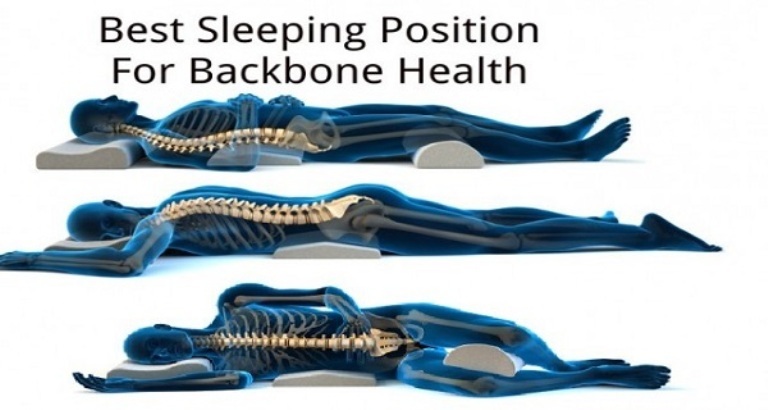 This sleeping position is beneficial for your back because it remains straight. This also means that sleeping on your back is also good for your spine and neck. What not many people know is that this sleeping position is highly beneficial for avoiding premature aging as it prevents the appearance of wrinkles on your face. But, you should have in mind that if you sleep on your back, you can wake up with puffy eyes. Adding an extra pillow can help you avoid this unpleasant problem because it’ll prevent fluids to build up under your eyes while you sleep. Pregnant women are normally advised to sleep on their left side so as to improve blood flow to the heart, which is good for both the mother and the baby. In fact, this is the ideal sleeping position for pregnancy because stomach sleeping is not possible and neither is sleeping on the back as it creates pressure on the lower back and inhibits oxygen supply, which is why it can lead to fainting. In addition, people suffering from acid reflux and heartburn can really benefit from sleeping on their left side as it can alleviate their condition. Health experts also advise placing a firm pillow between your knees in any sleeping position as it provides proper alignment of your joints and hips. Plus, a pillow makes your weight distribute evenly during sleep. If your weight falls on one side only, it usually creates discomfort in the morning.